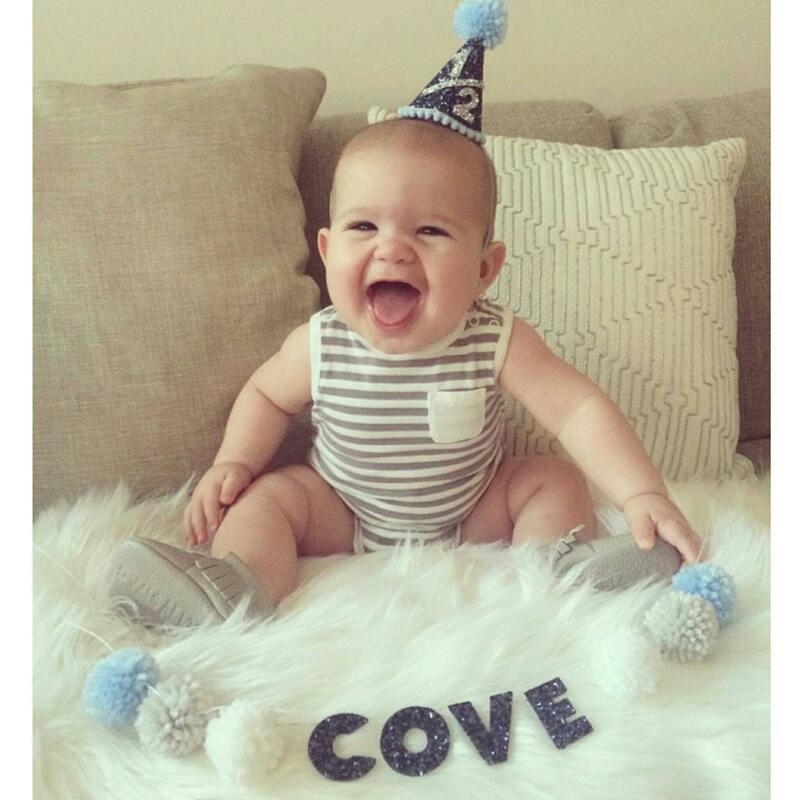 Shown in Metallic Navy glitter with a metallic silver glitter 1/2 accented with a baby blue pom and trim. 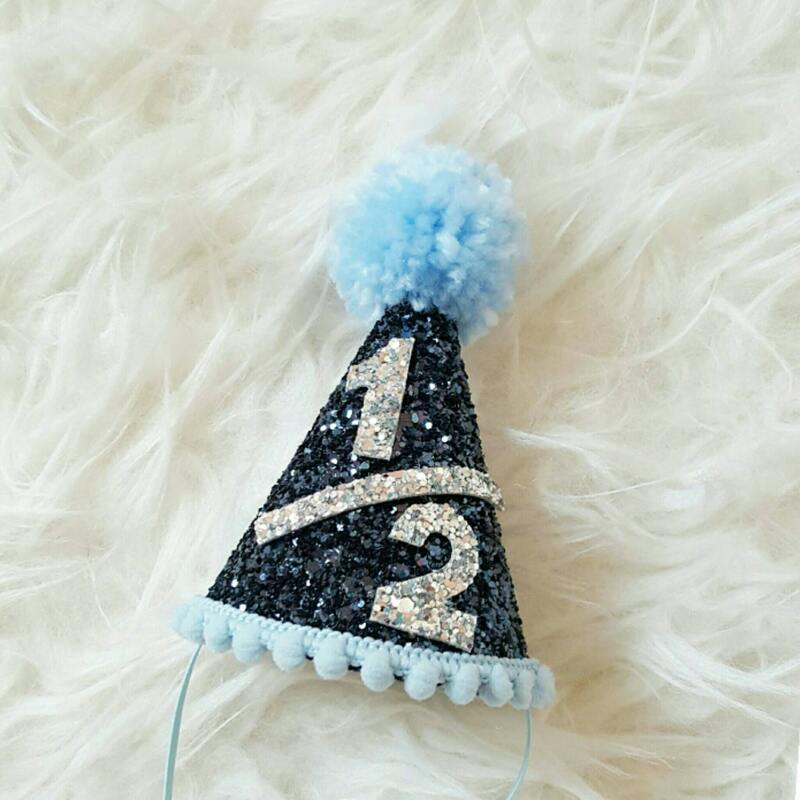 Loving this super cute 1/2 birthday hat for my Ollie. Can’t wait to put it on him! Product ordered and arrived quickly.